Are you looking for an Illinois storage company that has an excellent reputation for state-of-the-art storage facilities with climate-controlled units and top-notch security features? You’ve come to the right place. Metro Self Storage was founded in Illinois and provides all of these things and more at our St. Charles storage location on Lincoln Highway. 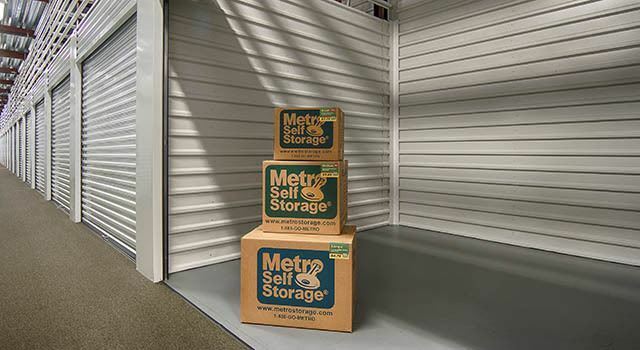 Whether your growing business could benefit from renting a climate-controlled commercial storage unit or you need to store your entire household, the friendly Property Manager at Metro Self Storage will be happy to help you. Our priorities are to ensure that you have an excellent experience storing with us. Renting a climate-controlled storage unit in an enclosed building is a practical choice when storing temperature-sensitive or valuable items. Everything from plastics and metals to fine fabrics and electronics is easily damaged by severe temperature swings and extended periods of heat. You will be more comfortable when you are moving in or out of your storage unit in our 100% climate-controlled storage center too. Our qualified storage team is here to help you choose the right storage solution for your belongings. Reserve your unit online or give us a call today to learn more about your climate-controlled storage options in Kane County and DuPage County cities and neighborhoods.